Yes, they can hear us! This self-moderated user-to-user forum is monitored by Adobe staff. Users’ questions are normally answered by other users, but occasionally are answered by the Adobe staff that are monitoring the forum. This form on the Adobe website allows users to either submit a bug report OR a feature request for future versions of any Adobe software. Whenever an Adobe application unexpectedly quits, a dialog box usually appears not long after the “crash” asking users to fill in a form to ask what happened. Don’t ignore this prompt when it inevitably appears – Adobe does pay attention to the reports. This is information that is made available from the software itself and reports back on performance issues – unlike the other communication, it requires no intervention from the user. Sites like mine and other pages I recommend in my Must see resources are great resources for InDesign. I would love to think that articles I have written have directly influenced the future direction of Adobe InDesign, but the reality is that Adobe cannot be everywhere at once to read every article not just from me, but other bloggers and sites that write about InDesign or any Adobe product. Similarly, these sites usually feature comments or response sections for any questions, concerns or comments to be raised so that they can be addressed by the author or other readers. While some great and truly constructive conversations have resulted from forum posts on these sections, some are akin to soap-boxes for disgruntled users to vent their frustrations about the software. I make a distinction between posters who raise valid points and make attempts to seek appropriate remedies; and posters who do nothing more than pour scorn on the product. Regardless of the kinds of post, if it is posted in a place that Adobe staff are not monitoring or unlikely to see it, then the poster is ultimately screaming into the void. Similarly, Adobe maintains a presence via many social media platforms such as Facebook and Twitter. That presence is not necessarily maintained by the team responsible for Adobe InDesign. The Adobe customer service team may see any issues via social media and respond to them, but may not be directly fielded by the Adobe InDesign team. Ultimately, if there is an issue that you feel the Adobe InDesign team needs to be made aware of, say it directly to them online via one of the channels mentioned at the start of the article. In early July, I prepared a video for my employer that demonstrated how to mark up a PDF correctly, primarily how to use the commenting tools. This came about as a direct result of the Adobe Acrobat team removing certain icons from the comment panel, meaning that many of my customers had to be re-trained on how to mark-up PDF proofs that they were sent. Since July 12, the Acrobat team has decided to return one of the icons it had removed from the comment panel, but still pushes for the use of the blue arrow tool to make additions, deletions or replacements of text. I’m happy that the icon has returned, but frustrated that it was removed in the first place. This is important because PDF mark-ups can use the annotations workflow that works like this – simple comments are taken into Acrobat using the comments tool and then imported directly into InDesign using plug-in software available from DTPtools. Here is a link to a video of the workflow in action – it effectively takes the mark-ups that were made in the Acrobat file into the ID file, and these mark-ups can be accepted or rejected in a similar fashion to revisions made in Microsoft Word. Yes it is possible to mark-up a PDF in other software such as Preview (Mac) or in some browser plug-ins, but for the mark-ups to save and be interpreted correctly by the DTPtools annotations plug-in, please use the Adobe Acrobat Reader. attempt to make the changes live in the PDF, but instead use the commenting tools only. This means staying clear of the typewriter tool and only using commenting tools, namely the blue arrow tool to make deletions, additions or replacements (or use the classic icons); highlight or sticky note. open the file in Microsoft Word and save it back as a PDF. This can make it impossible to tell the distinction between the two files and will result in the artwork being set up again from scratch. print the PDF and then mark it up in pen, scan it to a new PDF – this will quite clearly not work with the annotations workflow. add or delete pages from the PDF. If pages need to be deleted, use the mark-ups to indicate this. 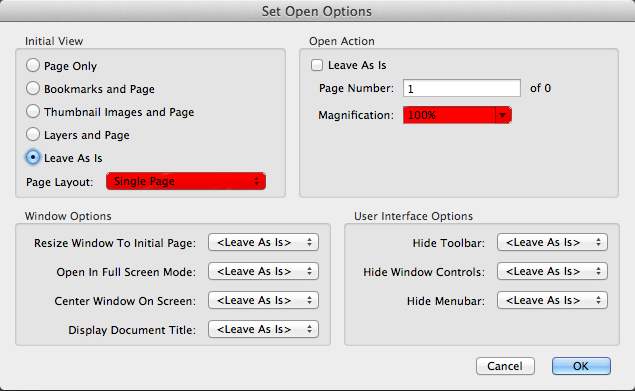 Likewise, if pages need to be inserted, use the sticky-note tool to inform the operator that pages need to be inserted. Delays and misunderstandings because of unclear instructions = $. This will result in a new proof that will no doubt contain misunderstood edits will need to be corrected, resulting in further proofs, chargeable time, delays and frustration. Make sure your instructions are so clear that edits are easily understandable by anybody. Even if you have had a conversation with someone about the alterations to be made, never assume that the person making the alterations will be the person you had a conversation with. Make a distinction between comments intended for collaborators and authors; and comments intended for a printer. Collaborators generally know what is being referred to, but prepress staff are making changes only, so make sure that the instructions for the printers are easily understandable. Any notes, such as opinions (e.g. I don’t like that font), or topic specific queries (e.g. need to fact-check this statement) really should be between collaborators and authors. “Duelling banjos”. If collaborators can’t agree on specific alterations, don’t take it out on the prepress operator – they are doing what they are told to do in the PDF. If there is a dispute between authors about what does/does not need to appear in the publication, resolve that prior to submitting the PDF to the prepress operator for changes. When collaborating, make sure each collaborator is either looking at the SAME PDF, or the same COPY of the PDF, and that changes are submitted at the same time rather than staggered. There is a great video that specifically deals with collaborating groups here. Have realistic expectations of the edits. For example, supplying a 5 page word file with the instructions “fit on 1 page” is unrealistic. Shuffling pages… Again this can be quite confusing, especially if LOTS of pages are being shuffled around. Remember that shuffling pages can also break pages that are meant to appear together, such as pages set up as readers spreads. Make sure that the new order of the pages is clear to avoid any confusion. Ultimately, a well marked-up PDF proof can result in more reliable changes being made faster and on-time. 2015-07-03 NOTE: This article is now out of date since the release of Adobe InDesign CC 2015. However, I have left the article here for posterity. A previous Colecandoo article presented a way of being able to control the view size and page presentation of PDFs used as soft-proofs for clients. The solution was to use the Actions tool in Adobe Acrobat to apply an appropriate action that contains the necessary view size/page presentation settings. 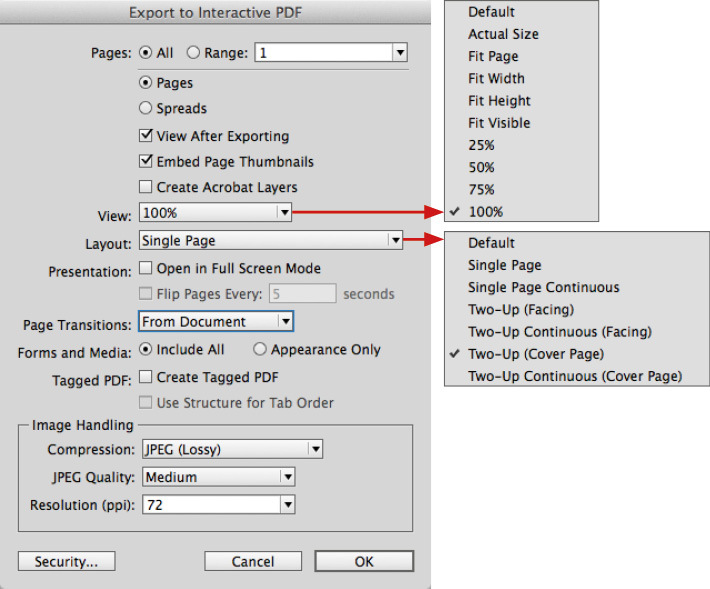 This method certainly works, but there is a far more easy method that can be done directly from Adobe InDesign, and that is to export as an interactive PDF. As a printer that, I had created very little interactive content until recently. I felt that the “Export to Interactive PDF” was only of use for content that contained form fields or other interactive elements, so I had not considered this an option… until now. In fact, this method is much easier than the method described in the previous article. 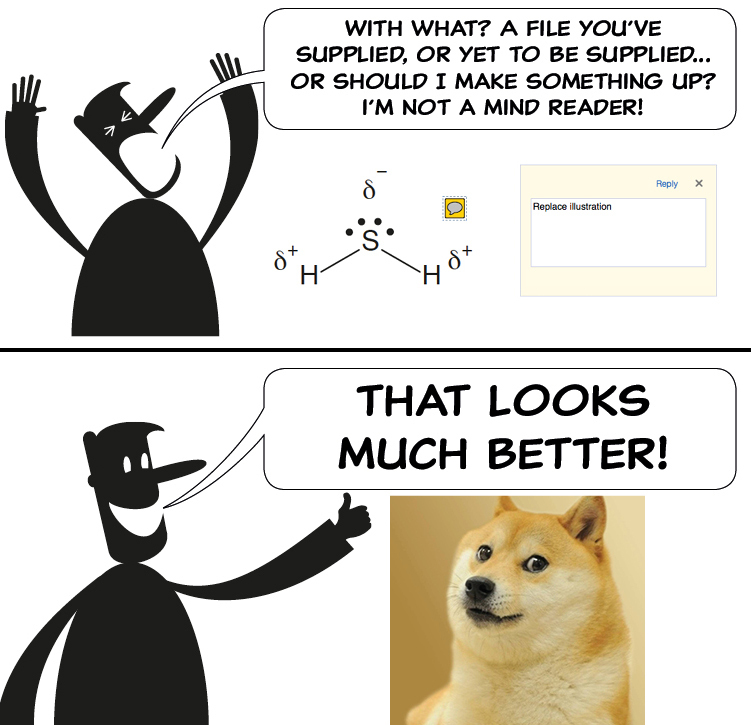 Once again though, this should only be used when a client is checking the content of the PDF only. To do this, select File/Export (or command + e on a Mac) and from the dialog box, select Adobe PDF (Interactive) from the dropdown list and click Save. A new dialog box will appear showing the available options for export, including the view and layout settings. If preparing a proof that is to appear as readers spreads, be careful that it is possible to select the same view in two places in this dialog box, with some unwanted consequences. To avoid this, use the Two-Up (Cover Page) option available from the Layout dropdown menu, rather than the Spreads option from the Pages/Spreads radio buttons. One important note is that unlike the PDF export option for print, there is no way to save export presets for Interactive PDFs. 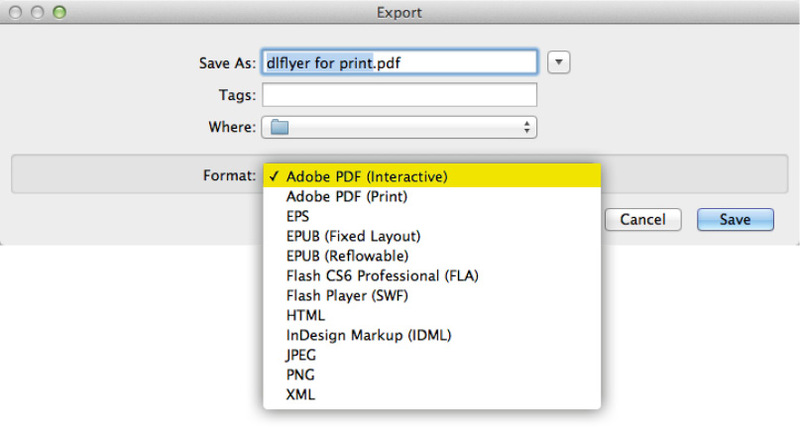 Instead, the options used to last export an interactive PDF are maintained for the next export. With this in mind, PDFs can also be exported en masse using Peter Kahrel’s batch convert script, but make sure that prior to using the script, one file is correctly exported to interactive PDF before using the script. Peter’s instructions do say this already, but it is worth writing it again. A previous post has discussed issues with PDF proofing for issues relating to quality. If checking content only, PDF proofs can be an efficient way of checking content, given that hard copy proofs do not have to be created or delivered to the client. If the client also has the latest version of Acrobat Reader, PDF proofing also allows alterations or markups to be made on the PDF proof. One feature I would like to be able to control in InDesign when preparing the PDF is how the PDF should appear on the client’s screen. Adding bookmarks and other interactive elements to a PDF is fine, but ultimately for the creation of content that is for other purposes rather than a print-proof, these features are not necessary. 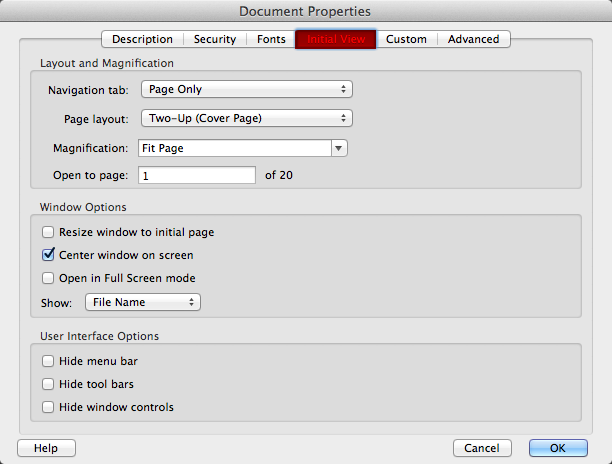 But what cannot be controlled from InDesign is the size and page presentation of the PDF. When viewing a PDF in Adobe Acrobat, the file will appear at the size and presentation options that are in the client’s defaults (from the Preferences/General menu). 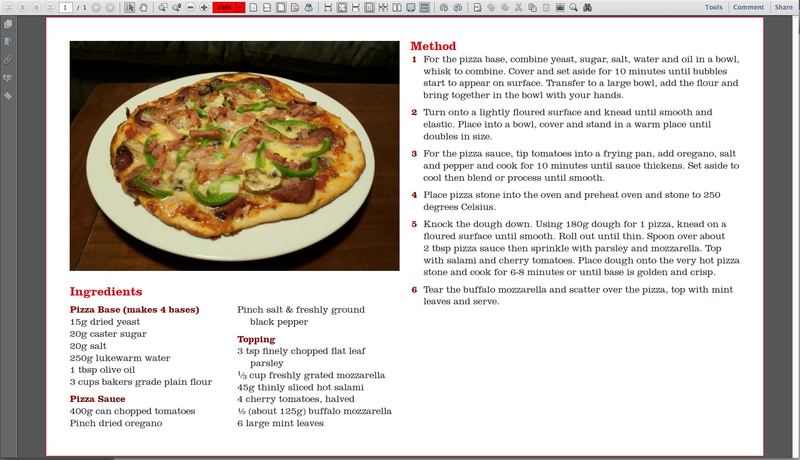 In the example above, a pizza recipe is prepared on a business card. Using the default view to check the PDF, all looks good, but when viewed to the true output (final size when printed) size, it looks like a recipe card for ants! 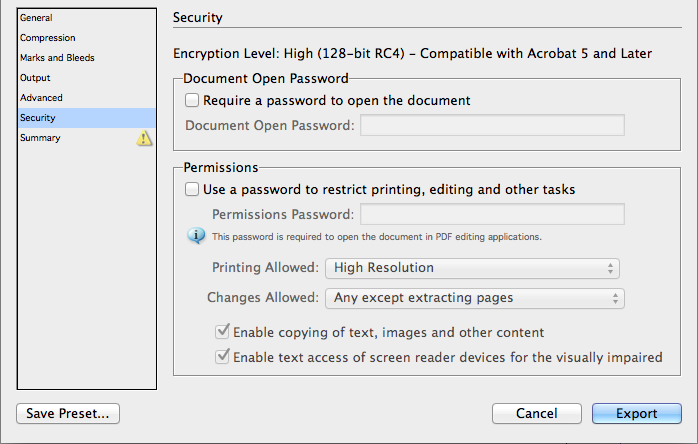 These view settings cannot be controlled by InDesign, but can be controlled in Acrobat Professional. 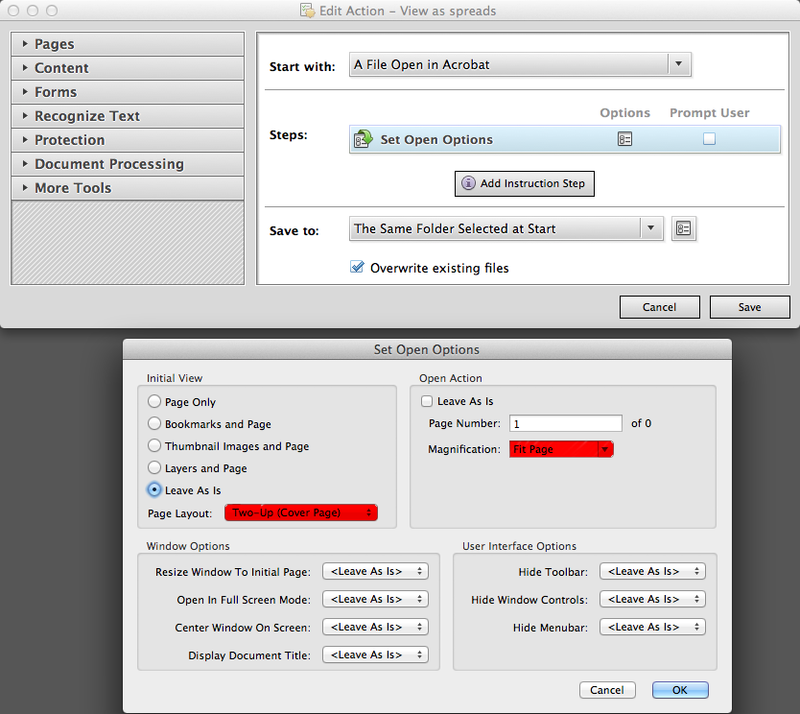 While a PDF is open, the options can be found under the File/Properties menu. These initial view settings can be changed (as well as whether or not to display other features such as bookmarks etc), the file saved and closed. 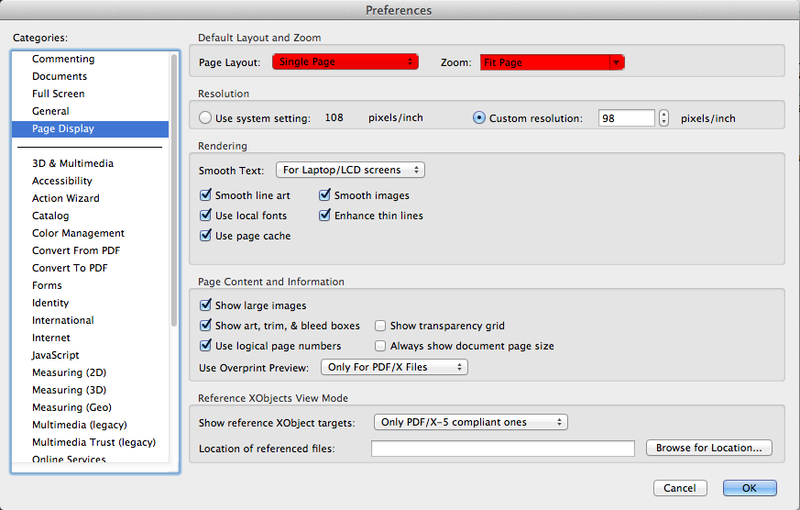 Once the file is opened again, the PDF will view to the settings that were changed in the preferences. That is fine if changing one file, but if changing dozens at once, or wishing to change the view permanently, this is not an ideal solution. Instead, the view settings can be changed using the Action Wizard. 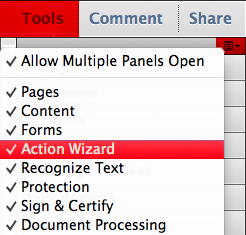 If unsure where the action wizard is, open any PDF to show the side tabs, and then click on the Tools tab, then check the Action Wizard option. To create a new action, click the Create New Action button. Once clicked, a new dialog box will appear. Since the initial view needs to be changed, go to the Document Processing tab and select the Set Open Options button. The following example would save a file so that it displayed as readers spreads to fit the screen. The following example would save a file so that it displayed at 1:1 size. Just like the File/Properties menu, there are more features that can be changed, such as what side tabs to open, whether or not menus or icons should appear. There is also the ability to change many files other than an open file, as well as what to do with the resulting files. This is done by changing the “Start with” or “Save to” dropdown fields. When all the relevant settings are made, click Save. A dialog box will prompt for a name and description of the action so it can be found later. The action is now added to the list of available actions, with the last action used at the top of the list. Voila! A solution now exists to change the views without lots of navigation through dialog boxes.